Please let us know if you need a product not currently listed. We will do our best to source it for you. 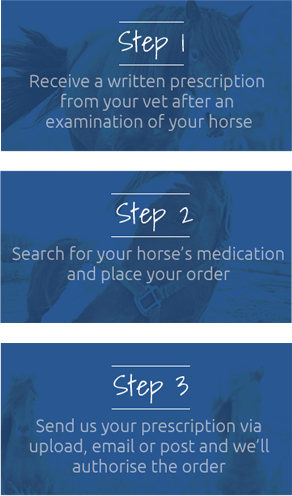 For expert advice on all aspects of Equine healthcare and up-to-date news & events. Eqmedic’s ultimate supplement for Equine joint mobility, designed for elite Equine athletes. Synomedic+ plus was developed and is recommended by top Equine veterinary surgeons. Synomedic+ plus helps to relieve articular pain, reduce cartilage erosion and increase cartilage elasticity. Metabolic Matrix, by Mushroom Matrix, is an innovative Equine supplement, which can be fed to horses with metabolic issues, such as Cushing's Disease or Equine Metabolic Syndrome (EMS). It helps support a normal glucose metabolism and maintain a healthy kidney, liver and endocrine function. Metabolic Matrix is 100% organic and made up of a precise blend of medicinal mushrooms. The naturally derived antioxidants, vitamins and minerals contained within the mushrooms, have been found to improve general health and wellbeing, as well as metabolic function. The Winderen Half Pad: A revolutionary supportive pad that will change the way we approach back care for both horse and rider. Available as either Jumping or Dressage cut, or with corrective inserts. The iconic Winderen pad is a cut above any other corrective pad on the market. Five technologically advanced layers provide you with maximum comfort, stability and enhance your riding experience by connecting horse and rider in complete harmony but yet it is still slim and elegant. Please note that delivery on this product can take up to 7 working days.